Turriff Caravan Park is situated in picturesque parkland at the edge of the town. It is close to all shopping, restaurant and leisure facilities. It is next to the Turriff Boating Pond and Haughs Park area. This is where the famous two-day Turriff Agricultural Show is held in August every year. There really is something for everyone within easy walking distance. 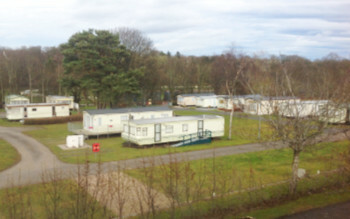 In 2011 Aberdeenshire Council decided to give the running of the eleven caravan parks they operated to community groups or private enterprise. Here in Turriff it was the Community which stood up to be counted. Two organisations, Turriff and District Ltd (TDL) and Turriff & District Community Council (TDCC) agreed to work together and form a Company (limited by guarantee) which would operate and manage the Park for the benefit of the area. In March 2012 after a great deal of negotiation and hard work, the park opened for business and now six years later we are still planning for the future. The board of Directors was created composing persons from each of the groups. Martin Kirk, of Kirk Natural Stone, is Managing Director. The other members from TDL are Anne Iravani of Iravani Associates, and Bryan Chalmers, a consultant with Allathan Associates. From TDCC came Rose Logan, Chairman of Friends of Turriff & Banff MS Group; and John Smith an independent accountant. An old saying is that two swallows do not make a summer. Equally it could be said that good years, which we have had in the past, is no guarantee for continued success, but the Board is committed to the Park's future. One very important thing to note is that the Board members are all unpaid volunteers and they receive no money or perks. If there are any surpluses at the end of the year, then, after setting aside money for repairs, maintenance and future developments, anything left over will be committed to community projects for the benefit of the town and people of Turriff and the surrounding area.